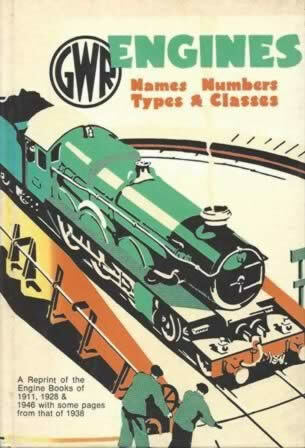 GWR Engines Names Numbers Types & Classes. 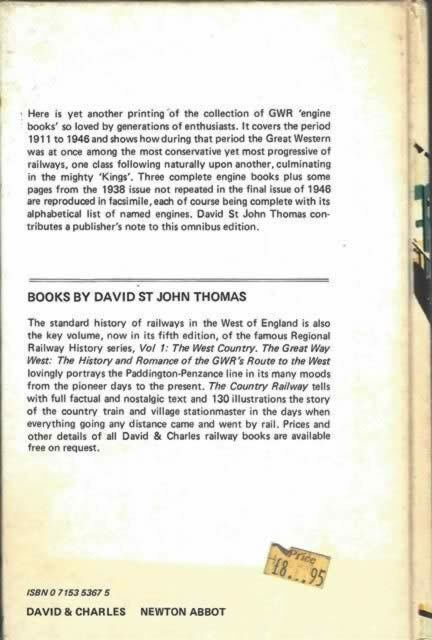 This book is a reprint of the Engine books of 1911, 1928 & 1946 with some pages from that of 1928. This book is published by David & Charles. This is a new book but it has received some staining on the cover while on display in the shop.